Below The Turret Ring: Future Leopard 2 improvments? 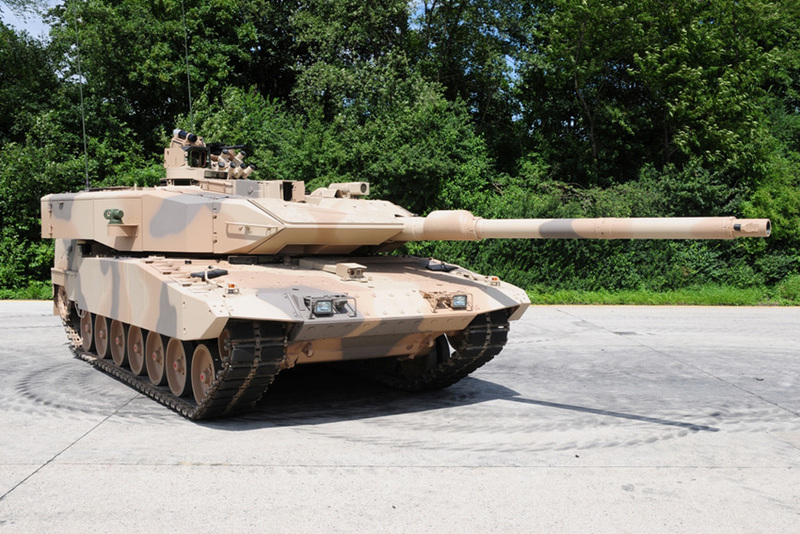 Despite the Leopard 2A7 being a relatively new tank - it was introduced into service in 2014 - the German Army is looking for further upgrades to it's main battle tank (MBT). When the Leopard 2A7 was being developed, the prototypes already included a number of features that had to be excluded from the series production version in order to keep costs at a reasonable level. 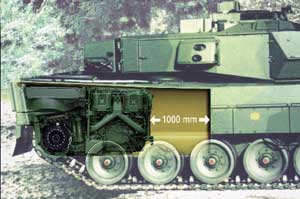 The FLW-200 remote weapon station (RWS) and the close proximity surveillance system (consisting of CCD cameras either mounted to the turret or hull) and the dozer blade were among the left-out features of the Leopard 2A7+. Already in the news articles on the handover of the first Leopard 2A7, a number of details on the Leopard 2's future were disclosed. 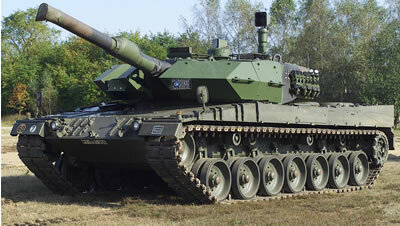 The German Army had already initiated the development of the next iteration of the Leopard 2 tank before the handover. Two points for the next upgrade were mentioned: upgraded optronics ("sighting systems") should be installed into the tank and the lost agility (due to the weight increases and reduced ground clearance) should be restored to the level of the original Leopard 2 tank. Under the name Leopard 2A7V (v for "verbessert", German for "improved") an upgrade for the current German variants is being developed. Once adopted, the designation is expected to be changed most likely to Leopard 2A8. Currently the German Army is operating three models of the Leopard 2 tank (the Leopard 2A6, 2A6M and 2A7), while still having about 100 old Leopard 2A4 tanks in stock, which are scheduled for upgrade in 2017 or later. Operating three or even four different models of a tank is a logisitcal burden, which is why in the near future all tanks should be upgraded to one single configuration. Currently proposals for the future Leopard 2A7V are under way. With a planned introduction as early as 2018, not much new technology can be accepted, that has not undergone the test and qualification phase of German Army procurments. The qualification phase for new technology in Germany is usually at least three years - this implies that mostly off-the-shelf components will be utilized. In theory some components might have been tested by the German arms procurement office in the past, but were never adopted for high cost or other reasons. Such components might be integrated into the tank without being well known to the public. There also might be an option for a special fast qualification procedure (this is only speculation though). If any upgrade cannot be implemented by 2020, it shall be reapporached at a later point of time. For improving the Leopard 2's mobility a number of factors need to be considered. While the Leopard 2A7 has a 15% higher weight than the original Leopard 2 from 1979, the ground clearance has been decreased considerably after adding the anti-mine plating of the Leopard 2A6M. Thus just replacing the engine might not be enough. An already existing upgrade option would be the EuroPowerPack, consisting of a MT883 engine from MTU and a Renk HSWL 295TM transmission. While usually running at only about 1,100 kilowatt (1,500 hp) on most applications (such as the tropicalized Leclerc and the Merkava 4 tank), it can run at 1,200 to 1,250 kW (1,630 to 1,700 hp). The smaller size of the MT883 engine would free about 1,000 mm of engine compartment length, space which could be utilized to fit more ammo, more fuel, a larger APU or computer systems belonging for example to an APS. A slightly better, but also more expensive option would be the newer MT890 series from MTU. A successor to the MT883 engine was projected, but never fully developed. It would offer an output of about 1,200 kW, but at a further reduced size with lower fuel consumption. Overall the MT890 V12 engine would save approx. 20% space and 30-40% weight compared to the EuroPowerPack. Another attempt to increase mobility could be made by adopting newer roadwheels and tracks. These could provide a larger contact area while being made of more weight-efficient materials. For increasing the ground clearance the only options seems to be adopting a new suspension. This would be rather expensive and seems not to be feasible within the expected budget. Diehl's AVePS is a modern version of the AWiSS hardkill protection system, which has been developed following studies for the German military in 1997. AWiSS used radar to track incoming missiles and RPGs and then launches a hardkill countermeasure at it. This consits of a small missile/fin-stabilized grenade with a high explosive warhead with hit fragmenting. The warhead detonates at a pre-calculated time and thus creates a cloud of metal fragments flying towards the incoming anti-tank missile. Between one and two launchers can be fitted on a vehicle, depending on type with either three or four barrels. AVePS is a more sophisticated version of AWiSS and is very similar to the Iron Fist APS from IMI, which is the result of cooperation and technological transfer between IMI and Diehl under the Mutual Active Protection System (MAPS) project. AVePS uses HE-blast grenades instead of HE-frag grenades, which pose less danger to nearby infantry. At the same time optimized blast grenades can be used to defeat APFSDS ammunition by exploding close the rod during flight, tilting the penetrator and effectively reducing the penetration by a large amount. AVePS is offered for tanks with two launcher units, each with four barrels. Both AWiSS and AVePS have been successfully tested by the German Army. AWiSS destroyed a MILAN-2 ATGM in trials during 2006, while AVePS managed to defeat RPG-7 and Panzerfaust-3 rounds in different tests in 2011. The last known option would be ADS, developed by a joint-venture of IBD Deisenroth and Rheinmetall. ADS (active defence system) was formerly known as AMAP-ADS. Unlike most other types of APS (including AVePS), ADS uses a box-based countermeasure instead of a launcher-based approach, in which the countermeasure is delivered as missile or grenade. This gives ADS two major advantages: it can intercept incoming threats fired even when fired from shorter ranges (there is no launcher that needs to be rotated) and it poses less danger to nearby infantry. ADS uses a larger number of optical sensors to accurately track the incoming missile, which then is engaged by one of the countermeasures. Unlike other APS, the ADS system doesn't require reloading after a few shots, as all countermeasures are ready to be fired at all times. The true nature of ADS' countermeasures has yet to be revealed. According to the manufacturer, it does not utilize a blast warhead, but is fragment free. Instead ADS would utilize "directed energy" to defeat ATGMs, RPGs, APFSDS projecitles and even EFPs (a capability currently unique to ADS). In theory ADS might launch fragment-free composite plates at the incoming missiles or use a DIME-like approach (launch "tungsten powder" at extremely high velocities). On Rheinmetall's Advanced Technology Demonstrator tank, there are only nine countermeasures, all of them located on the turret. But this is apparently only a proof of concept, a real implementation would icnlude a much larger number of countermeasures. On a side note, old presentations of MUSS suggested that integrating a hardkill system into MUSS would be possible and would be investigated in the future. At this time only AWiSS existed, so this was used in the presentation. It was suggested to fit an IR jammer to each hardkill launcher, fit the tank with the optical sensors of MUSS and newly developed radar systems. Thus MUSS could be used in combination with AVePS most likely ADS also. Last but not least, there is ROSY_L, a smoke obscuring system from Rheinmetall.It is not really an active protection system in the current configuration, but it is understood that this system can be automated to become an APS. ROSY_L was designed as a modular system and can be integrated with sensors already existing sensors on the vehicle. Such a ROSY_L APS would act similar to MUSS, using an array of 40 mm multi-spectral smoke grenades to create a smoke screen, that can stop TV, EO, IR, laser and SACLOS-guided weaponry. 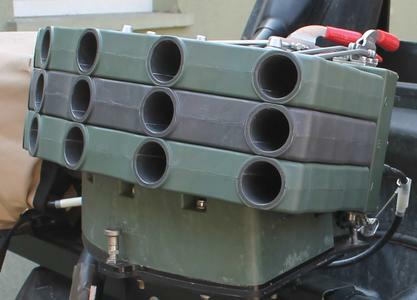 Compared to MUSS, such a ROSY_L system would offer some benefits in terms of available countermeasures, smaller countermeasure size (due to the smaller caliber, more smoke grenades can be carried inside the vehicle for reloading) and a complexity (using multiple fixed launchers instead of fewer rotatable launchers). However ROSY_L does not include an IR jammer and tries to compensate this with some IR-jamming and decoy capabilities in the countermeasures. A total of 500 ROSY_L systems and more than 50,000 matching smoke grenades were purchased by the German Army in 2013. For passive protection there seems to be a wider array of options, given the relatively large amount of companies developing their own armor solutions. 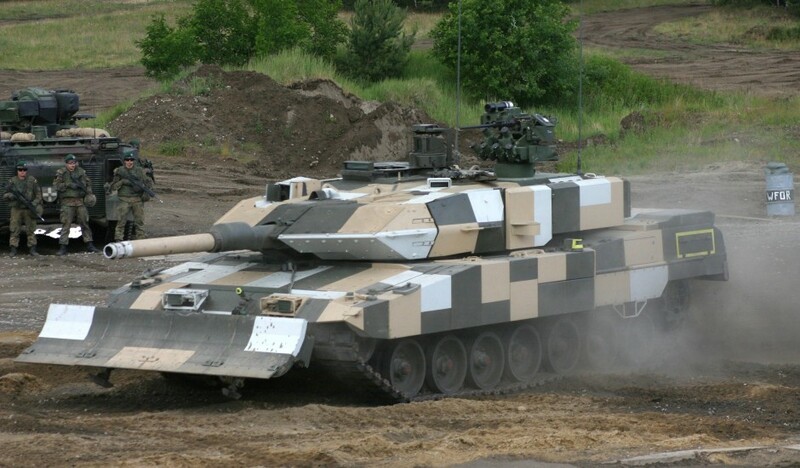 The Leopard 2A7 was originally presented with passive armor from KMW, which was designed to provide high levels of protection against shaped charges and EFPs. This armor solution dates back to the Leopard 2 PSO (peace support operations) testbed and has been fielded in a modified version on the Canadian Leopard 2A4M CAN. As several versions of this armor have been tested on different Leopard 2A7 prototypes, this should be available for the Leopard 2 upgrade. In fact the Leopard 2A7 is already designed with a common interface to easily accept the new armor. IBD Deisenroth Engineering has developed a wide array of armor solutions, of which many are in service with the German Army. The Leopard 2A7V might adopt a version of their AMAP package, in particular the AMAP-SC composite armor might be suited to provide the desired levels of protection. AMAP-SC is claimed to have a mass efficiency of 8 to 10, which means that compared to conventional steel armor of the same weight, 8 to 10 times as much protection is provided. In theory other suppliers of armor solutions - including non-German ones - might be able to participate in a tender for the armor, if their products have already been tested by the German military procurement office - at least RUAG is known to have supplied armor for the Fennek armored scout car in the past. While this armor was RUAG's SidePro-KE ceramic armor for ballistic protection, this might indicate that other armor solutions from RUAG, such as the SidePro-ATR and SidePro-CE armor have also been tested in Germany. An interessting note is that German sources claim that the CLARA ERA of the Puma is also considered for the Leopard 2A7V. CLARA (composite lightweight adaptable reactive armour) has been developed by Dynamit Nobel Defence for protection against RPGs and EFPs. In contrast to conventional types of ERA, CLARA does not include metal plates and is considered fragmentation-free, so it doesn't endanger nearby infantry. CLARA offers a relatively high level of protection against kinetic energy and has a mass efficiency of more than 10 against shaped charges, but in it's current form it doesn't protect against tandem warheads. On the Puma IFV with it's heavy passive armor and APS this might not be an issue, but the Leopard 2's side armor is thinner. 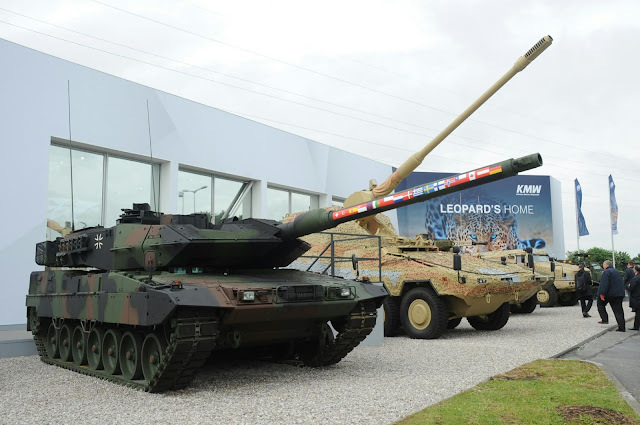 In theory there might be an option to develop a special variant of CLARA that offers full protection against shaped charges with tandem warheads, but in it's current form it does not completely suit the Leopard 2A7V. 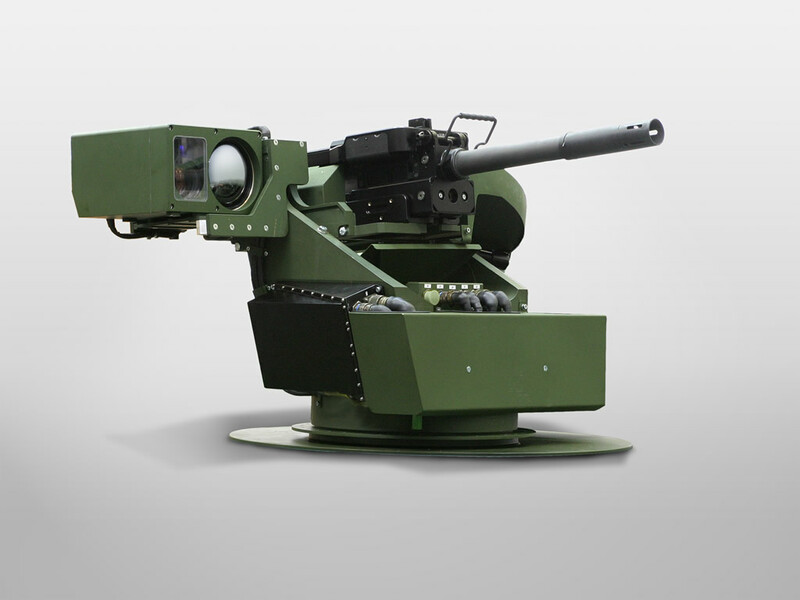 The most likely choice for the remote weapon station (RWS) is KMW's FLW series. The FLW 100 and FLW 200 are combat proven and operational with the German Army since nearly a decade. From the two, the FLW 200 seems to be the more likely option, as this has been fitted to the ealier Leopard 2A7+ prototypes and the Leopard 2 PSO technology demonstrator. The FLW 200 can accept machine guns up to the 0.50 caliber or an automatic grenade launcher (AGL). Each FLW includes an own sensor pod with integrated fire control system (FCS) and allows adopting further smoke grenade dischargers onto the unit. It has been rumored that the FLW 200+ is being suggested as possible option for the Leopard 2A7V. The FLW 200+ can accept larger and heavier weaponry - most importantly it can be fitted with the dual-belt fed 20 mm Rh 202 autocannon (and 100 rounds of ammunition), which is still in German Army stocks in large numbers (being used on the Marder IFV and the Wiesel 1). Compared to the 12.7 mm M2 Browning, the Rh 202 offers greater range and armor penetration aswell as the ability to fire HE rounds with a greater effect against a wider target spectrum. Not directly mentioned by any German source, but certainly an interessting option would be the Dual FeWaS from Dynamit Nobel Defence. This weapon station can accept two heavy weapon systems (such as 12.7 mm HMG and a 40 mm AGL) or one heavy weapon system and up to two shoulder-launched weapons. 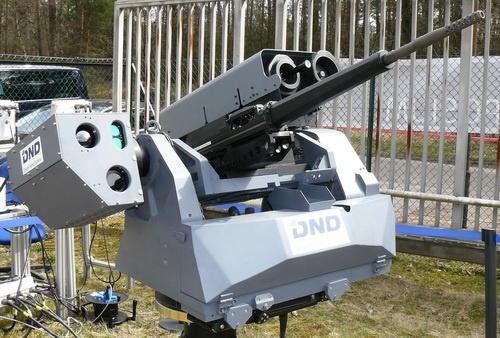 DN Defence has showcased the weapon station fitted with versions of either its RGW-90 or Panzerfaust-3 RPGs only; however in theory there should be the options to integrate guided weapons - Rheinmetall presented a special RWS to hold and fire up to six guided weapons such as the Stinger MANPADS or MMP ATGM at Eurosatory 2016. With such an upgrade, the Dual FeWaS could meeting two of the German Army's demands: serving as tureret independent weapon-station with a machine gun or an AGL, while at the same time defeating UAVs using MANPADS. 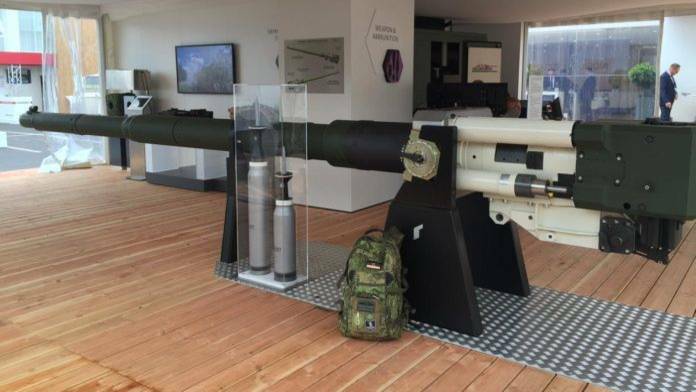 Other anti-UAV measures aside of a MANPADS implementation are not really available; while Rheinmetall and MBDA have tested military laser weapons to defeat UAVs, these tend to have a too high power requirement to retrofit them into a tank. So unless the tank will get equipped with a Stinger-like system, the only options to counter UAVs are jammers. The German Army's wish for UAV-defeating capability on the Leopard 2 MBT is the result of analyzing combat footage and other data from the Ukraine conflict and the Syrian civil war, where even civilian UAV systems have proven to be valuable for ambushes and targeting of high-value targets for air- and artillery-strikes. 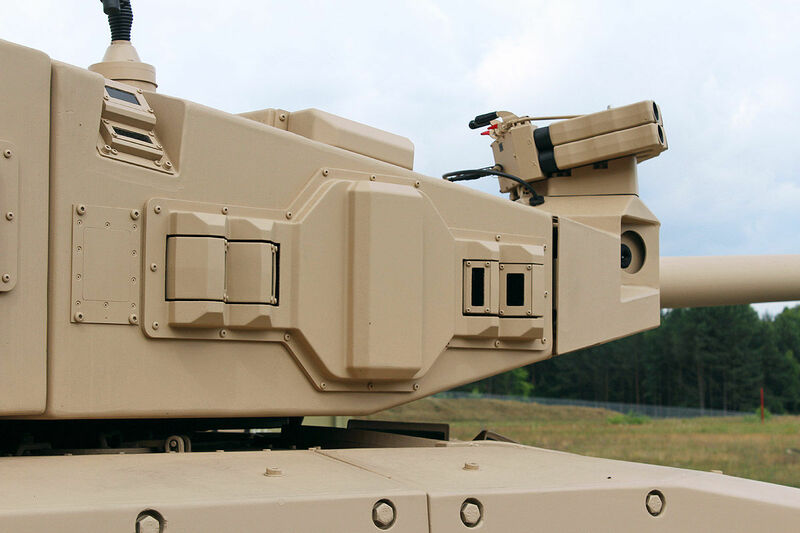 The most likely choice for upgraing the tanks optronics would be by integrating the new third generation Attica thermal imager into the gunner's sight. The Attica GL thermal imager already replaced the Ophelios-P in the Leopard 2A7's PERI R17A3 commander's sight. The EMES-15 sight for the gunner however was retained on the German tanks. The usage of the Attica thermal imager seems to be a given fact, because the German Army prefered this over other products such as the Saphir thermal imaging system. However the informations on the future Leopard 2 upgrade speak of optics for long range identification of target, thus it appears possible that another version of the Attica thermal imager with greater magnification and resolution might be installed. Improving the daysight optics might also be a possible upgrade path for the Leopard 2. For the 360° close proximity surveillance system, there are again at least two different options. Krauss-Maffei Wegmann has used a system on some of the Leopard 2A7 prototypes, which consisted of CCD cameras either fixed to the hull or rotatable cameras located on small masts in front of the turret side armor. The supplier and exact designations of these systems are not known yet. In the eyes of the author Rheinmetall's SAS Situational Awareness System should be a more mature solution. 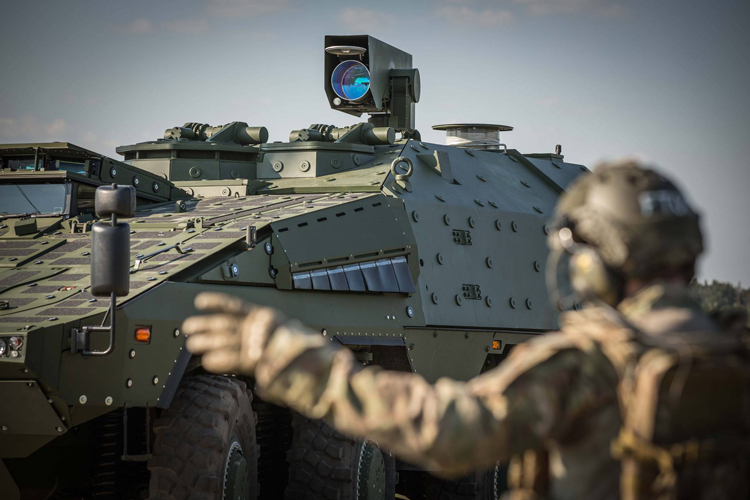 For a 360° coverage, the system consists of up to four sensor units, which are fitted to the turret or hull of the vehicle. Two of the sensor units are fitted with three CCD cameras each, while the other two are using thermal imagers instead. This system provides the desired close proximity surveillance both during day and night, while not having moving parts (like some implementations of KMW's system), which might break down. An interesting aspect is that the improved version of the Leopard 2's L55 smoothbore gun - the L55A1 - is supposed to be ready for series production in 2018 according to Rheinmetall. Together with new ammunition, the L55A1 is claimed to provide about 20% more performance than the current version. This matches the dates for the finished Leopard 2A7V development and would explain how the lethality can be increased despite the new 130 mm L51 gun still being in development. At Eurosatory 2016 KMW presented a new version of the Leopard 2A7, which appears to be a prototype proposal for the 2A7V upgrade. The tank itself appears to be a modified version of the same Leopard 2A7 tank that was already presented at the Eurosatory 2014. This tank is fitted with new passive armor on the front of the hull, improved optics (understood to include the Attica GL in the EMES-15 primary gunner's sight) and the Spectus night vision system from Airbus for the driver. This tank still lacks an APS and a RWS. Further armor at the sides can be installed thanks to a modular protection concept. A slightly more powerful APU - delivering up to 20 kW instead of only 17 kW - has also been installed on the tank. Such a move would be required for the adoption of an APS in the near future. KMW is expecting an order of this variant by 2018, however to this point of time further components might be fitted to the tank. 1)What type of optical sensors is used in ADS? Is it lidar? 2)Is there any information about the results of ADS tests against APFSDS? 3)Is AVePS launcher fast enough to rotate and intercept very high velocity projectiles like APFSDS? In my opinion ADS and Czech EFA seem to be a better solution against KE penetrators than AVePS or Iron Fist. 1.) To my understand ADS is using a multispectral IR/UV imaging system. LiDARs are very expensive and have a high power consumption, which makes them less suited for APS. All applications of LiDARs that I know rely on one or two sensor units, which rotate alongside at least one axis. ADS uses many smaller sensor units, which are fixed. 2.) Official results are classified, but I have heard rumors (from people working for different armies) that high-speed radiography photographs of shattered/broken APFSDS penetrators were shown, moments after intercepted by ADS. This would mean that ADS still requires quite a bit of base armor and can only used on heavy vehicles for protection against APFSDS. 3.) The old launchers of AWiSS, the predecessor of AVePs had a rotational speed above 600 °/sec according to old documents. As Diehl suggest using two launchers on heavy vehicles, each one would need to cover about ~180° (slightly more in ideal case, so that the protected zones overlap). In worst case AVePs would thus require 0.3 seconds to rotate towards an incoming APFSDS - with realistic velocities (1600-1700 mps) an APFSDS projectile would travel about 450 to 550 metres within this time. There are further factors aswell, such as the time required for the radar to track the APFSDS, the time for the computer required to do all calculations and there is some time required for the interceptor to travel to the ideal point of interception (detonating further away from the tank is required to maximize the tilt of the APFSDS penetrator). In general AVePs should not have too much issues against APFSDS fired on normal combat ranges (1,000 metres or above). On very short ranges it should have troubles. I agree with you on ADS and EFA. These systems eliminiate a lot of external factors that the other systems have to deal with. In an interview on Iron Fist with higher-ups from IMI, one of the chief designers of Iron Fist explained that the HE charge has to explode within 40 to 80 centimetres distance to tilt an APFSDS. Have there been any serious attempts to upgraded theeopard 2 suspension after the Leopard 2A5 arrived with its add on armor modules? As least the Leopard 2A6M, Leopard 2A4M CAN and Leopard 2A7 have strengthened torsion bars. I don't know if they all use the same improved type or different ones. Can the FLW 200 be fitted onto the Leopard 2A6 without major modification to its turret? Will there be enough room for this remote weapon station?